Crosley, makers of the “good enough” record players you see in Urban Outfitters and Target, have turned their retro novelty eye on the next obvious format: cassettes. These two new decks from the company have all the latest features from 1985, but also a handful of modern conveniences. Let’s get one thing clear at the outset: these are certainly ridiculous. And yes, you can buy a boom box with a cassette deck right now, new, for $30 or so. But having browsed the stock I can tell you that most of them are pretty ugly. There are vintage ones too, but not all have aged well and may have unfixable issues like corrosion or motor problems. And believe it or not, tapes are still around. People are manufacturing and recording on them because they’re fun and retro and analog. I’ve bought a few myself at shows in the last year. So there is actually a market for a new, decent-looking, portable cassette player and radio. The Crosley devices are pretty straightforward. There are two models; each has a big mono speaker, a single-direction deck (meaning you’ll have to flip the tape), an AM/FM radio and a built-in mic. 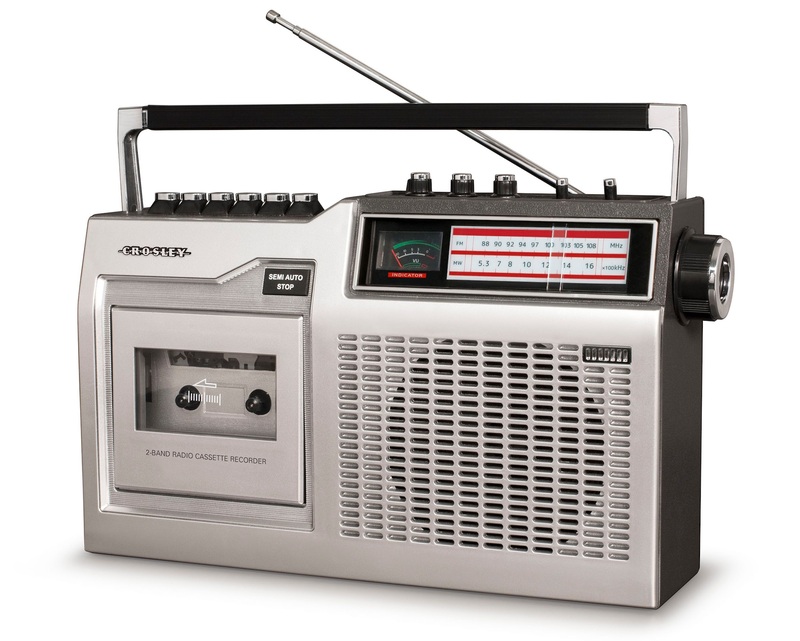 The $60 CT100 model (top) has shortwave radio bands as well, and the capability to play music from an SD card or USB drive, while the $70 CT200 has treble and bass dials and a VU meter for easier recording of cassette-based podcasts. Both have handles. Of the two I’d definitely go with the CT100, since presumably you can use the SD/USB player to record mixtapes of stuff you’ve downloaded. Record a little intro with the mic or pretend you’re the DJ between songs, and boom, it’s like you’re me in 1994. Plus you never know when shortwave will come in handy. It’s silly, but it’s a silly world we live in. Silly and horrible. Maybe bringing back cassettes will help. Keep an eye out for these players wherever fake Ray-Bans plaid scarves are sold.